How to embed a Rules Link in a View in order to trigger a Rules link to run? What is the general process to embed a Rules Link in a View in order to trigger a Rules link to run? I have used the Rules Link module to create a Rules Link embedded in a View (it's a View that combines all the details of a User). I want the Rules Link to trigger a Rule which (when the reading user clicks " More Content From Author") will trigger the Rule to show a list of their latest postings in a HTML format.The paths work alright, it just doesn't seem to trigger the Rules Link to run the View. If I add say a generic link in the Rewrite Result link path (say http://www.google.com), it works fine and finds the target. But my Rules Link URL "More-Content-by-Author" throws a 404 even though the link is set correctly. I've got most things working, checked all the Permissions and set the "Execute Rules Link" permission in the said View, but still get a 404 error. I have not added any variables (do I need to?). After 6 hours, and I'm stumped now. Any suggestions? Note: All my other Rules links work fine. ... implements Rules conditions for checking the URL against a given string for triggering actions. 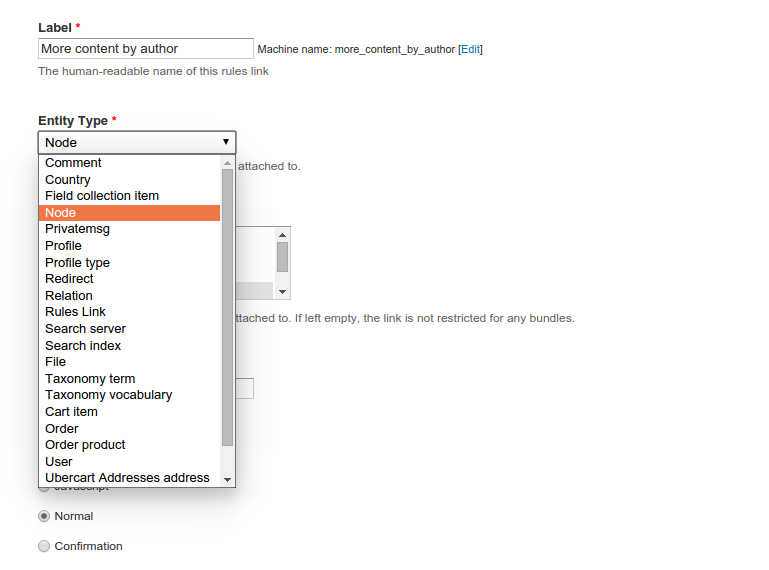 You can also use the Rules Link module to generate a custom link that can trigger a rule. But that requires the link to be clicked to access the page and there might be an issue that the user must be logged in. Not the answer you're looking for? Browse other questions tagged views rules debugging or ask your own question. 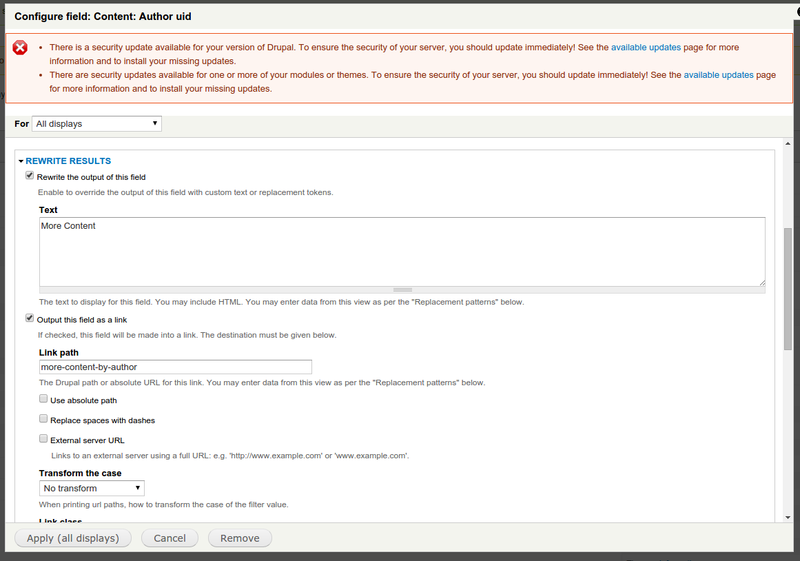 How Do You Make a 'Rules Link' Work in a Custom Content Pane? How to combine Views, Rules and EVA to record submission?